Use Social Media to promote your old posts: As I mentioned above, writing blog posts takes alot of time and effort. So why let all that work go to waste? As you grow followers on your social media channels, share posts from “back in the day”. Rewrite old posts: Your writing has probably changed over time. Rewrite old posts to maintain your current tone or add extra information that you have learnt about a topic. Update your graphics for old posts: This is one of my favourite ways to update a blog post since it is so quick and easy. Use Old Posts to help you find new ideas: Go over your old posts- especially the really popular ones- and see what inspiration hits you. What are your tips for improving your blog with the content you already have? I’d love to know below. College is hard. Being a college student with a blog is infinitely harder. 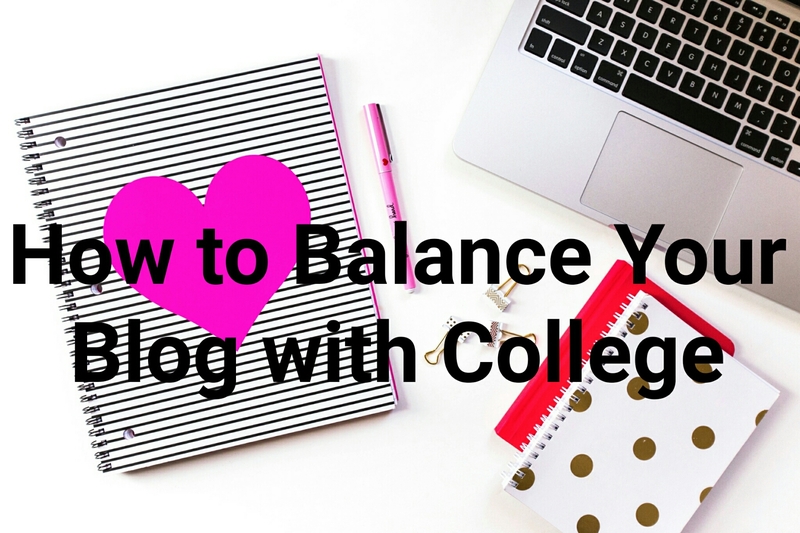 However with some handy tricks you can learn to balance your blog with college. 1) Schedule everything- You might have noticed by now that I’m a huge fan of planners and to-do lists. Scheduling your commitments ensures you don’t forget them and are aware of them long before they occur. Write down both your college deadlines and important blog post dates. For me every Friday I write a Fiction Friday post so I write this in my diary. 2) Work in advance- Do things before they’re due. Write a few posts before they’re due to be published and queue them up. I usually write an entire week of post on the first day of the month and then work from there. 3) Delegate work- Ask for guest bloggers to post on your blog or ask a friend to help you study when college gets overwhelming. 4) Combine the two- Blog about your college experience. I especially like this option because anyone who is/has been in college can relate to the stress of it. What are your tips for balancing college and a blog?